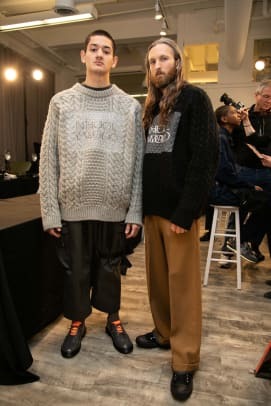 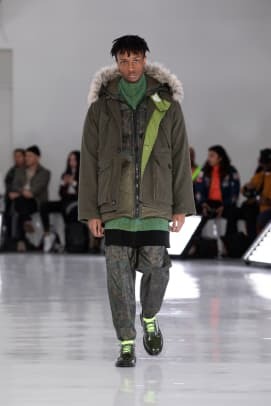 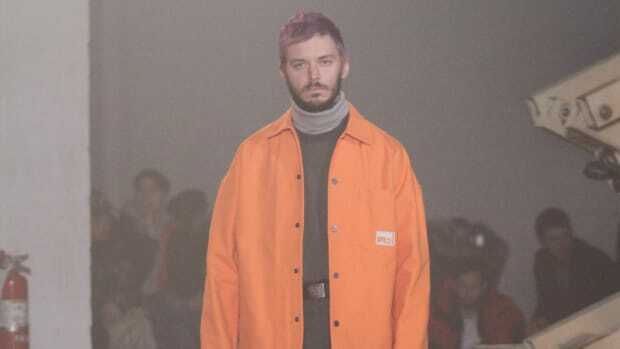 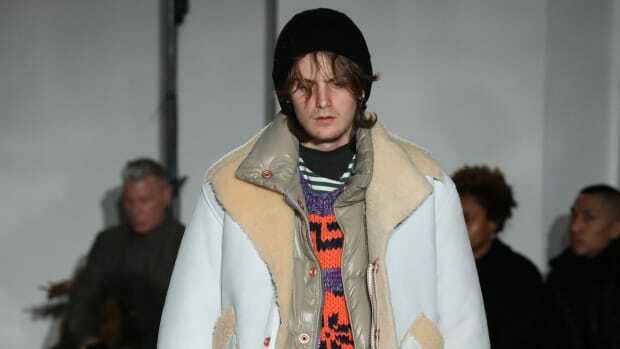 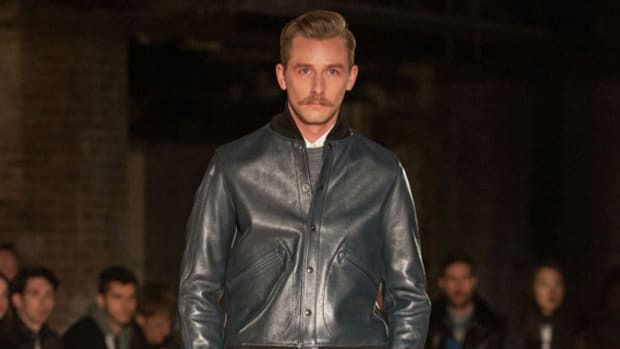 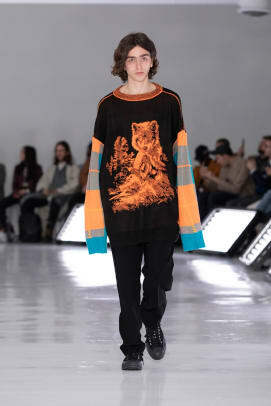 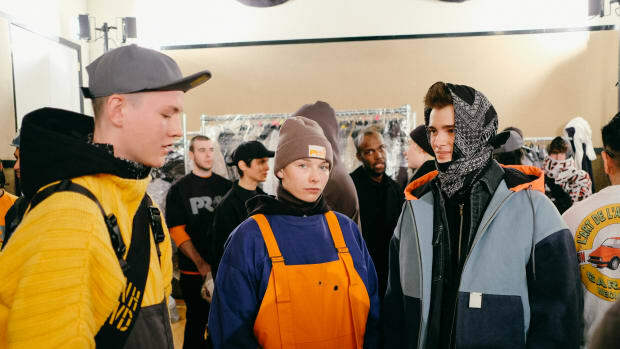 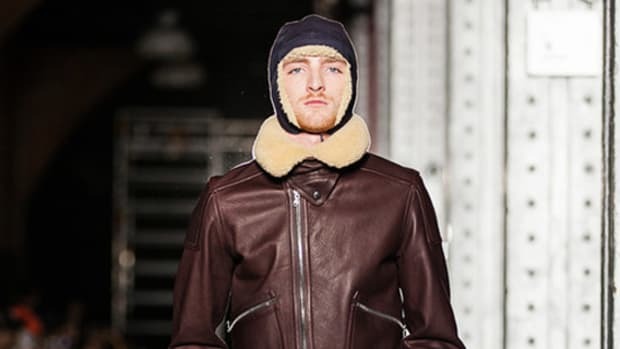 N.HOOLYWOOD helped kick off New York Fashion Week with the showing of its Fall/Winter 2019 collection. 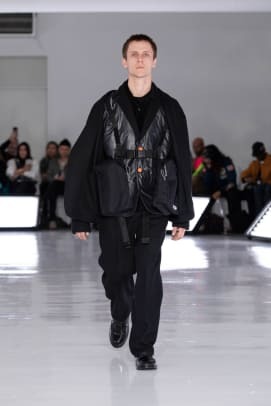 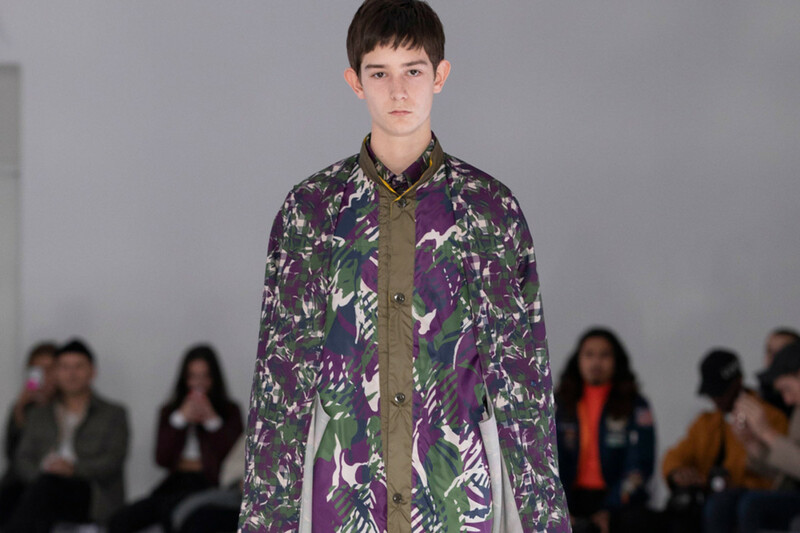 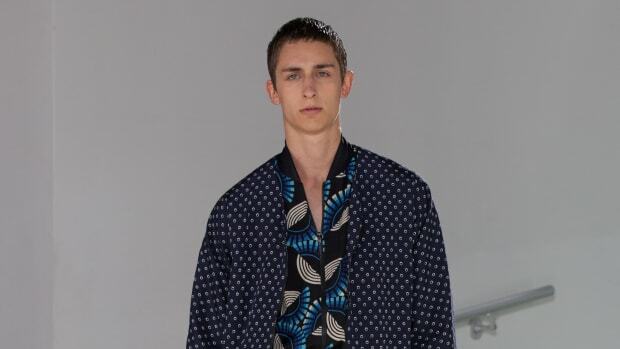 For its latest offering, designer Daisuke Obana played with a variety of patterns and pit long overflowing silhouettes against shorter cropped looks. 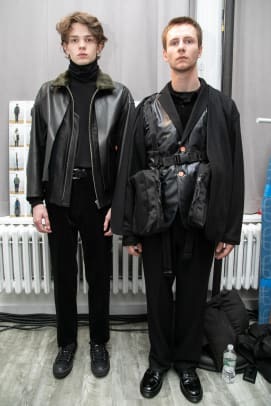 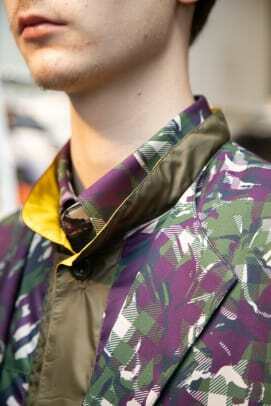 There were also plenty of accents on certain pieces and a generous offering of accessories and rigs. 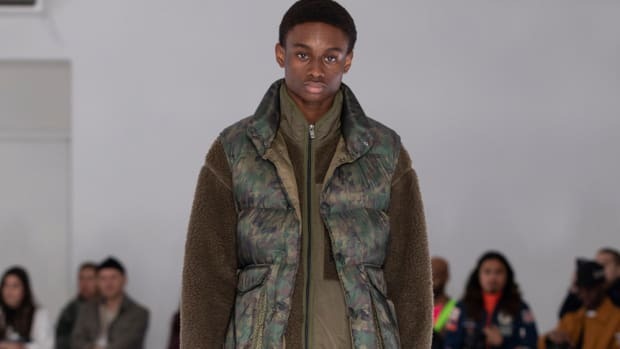 The brand also debuted a New Balance 996 collaboration on the runway. 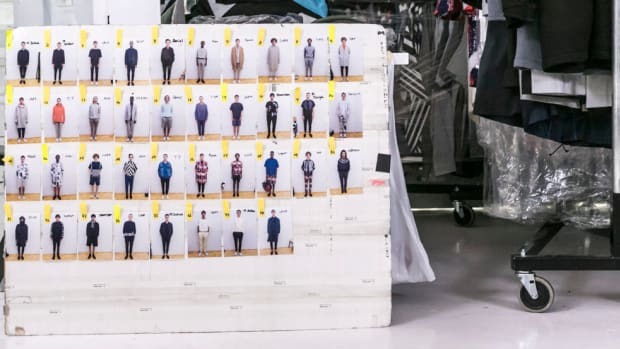 Take a look below at select runway looks and backstage photos.